Pigs | Loch Lomond Livestock Ltd. 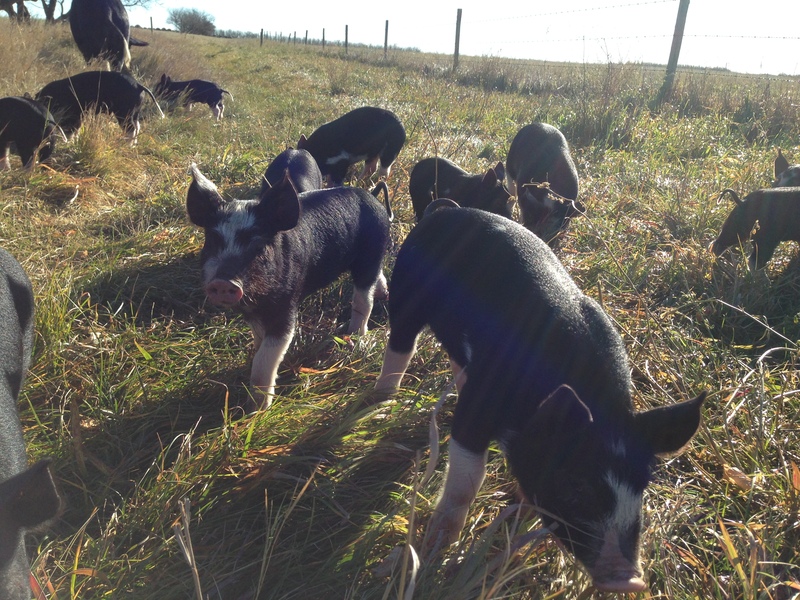 In the fall of 2015, we purchased 3 bred Berkshire gilts. Berkshires are known for their flavourful meat and ability to be grown on pasture. These sows had grown up on pasture and were well accustomed to outdoor life, which is what we wanted. We quickly gave the sows names; Jane Austen, Pig-Wig and Tansy. We have had lots of fun watching the pigs; they have such different behaviours than the other animals we raise. 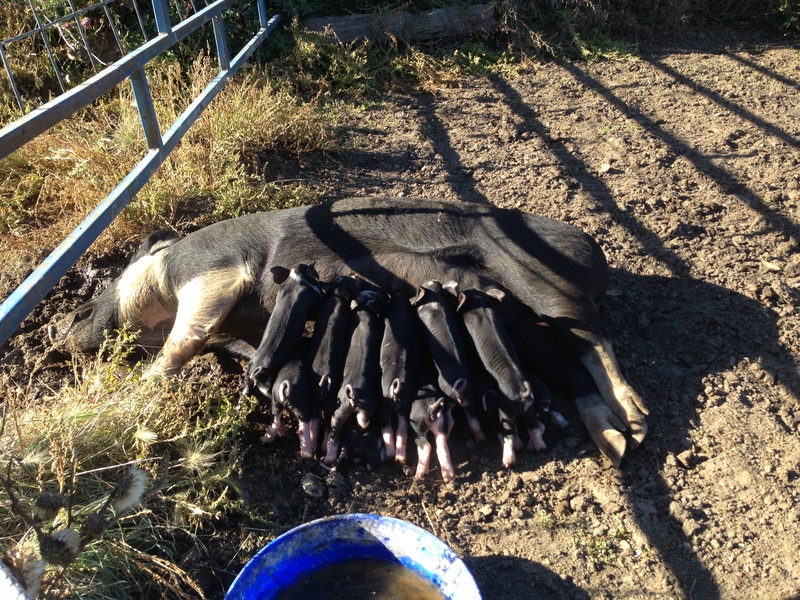 They farrowed (gave birth) to a total of 25 live piglets in September. 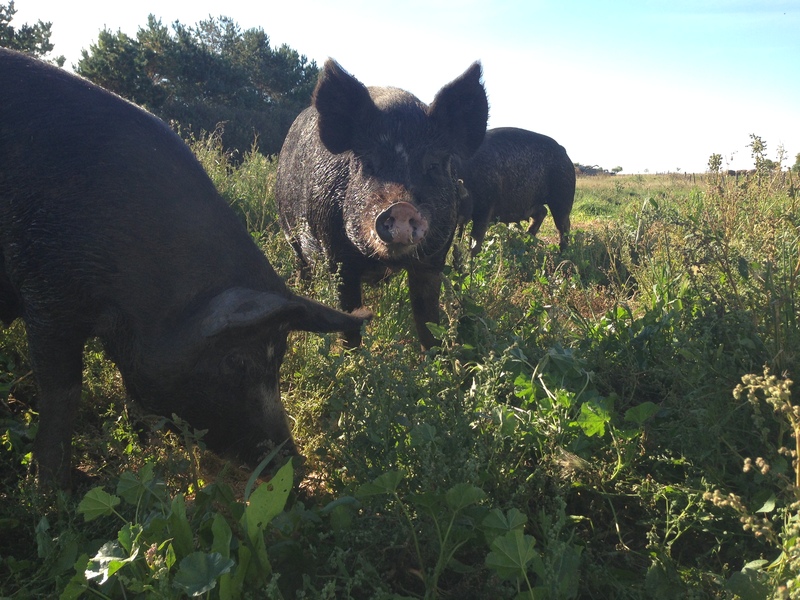 Our plan is to breed these sows the farrow in the spring and sell the weanling pigs, keeping a couple to raise for our own consumption, and we may occasionally have some pork for sale as well.